Rey is a Rolfer from the United States and is a big advocate for pain science. He is an admin from the exploring pain science facebook group, runs dermoneuromodulation courses with Diane Jacobs and is currently studying behavioural psychology. Rey has an interesting story where his background as a Rolfer and the explanations in which he sold were challenged by modern pain science. We discuss the reconciliation of his practice with new evidence; we discuss how this affected his practice and treatment outcomes among many other things. We start our podcast series off with a cracker as Luke and Brendan sit down with Adam Meakins for a beer to discus low value health interventions, manual therapy, client expectations and creating societal healthcare change. LANGUAGE WARNING! Enjoy! 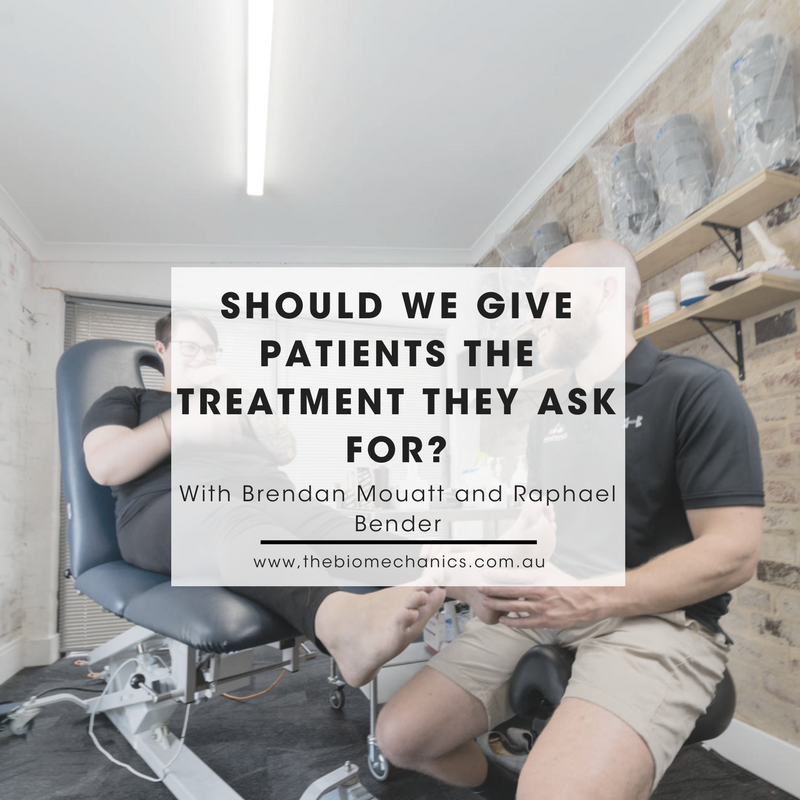 Raphael Bender (Breathe Education) & Brendan Mouatt (The Biomechanics Education) discuss whether we should provide clients with the treatment they expect, and how to navigate professional relationships with people who are not up to date with current best practice. Brendan discusses challenging your own beliefs and avoiding confirmation bias to depict a more accurate view of the world. This may be one of the largest enemies of the Allied Health professions. Are you telling your clients that their pelvis is out of alignment? Brendan discusses the client with the "my hips are out" diagnosis. When does the communication of patho-anatomical findings related to pelvis position cause more problems than it solves? When is a scan indicated for back pain? When is it that we need a MRI or scan of our lower back? It is often referred for far more often then it should be and can often lead to less effective outcomes. Join us as we explore the world of scans and what we get so wrong, so often. If you want to know that what you are doing for you and your family's health is truely healthy then you need to read this article. John Oliver introduces our guide to understanding good science from the bad. This guide busts myths regarding commonly thought fact and gives you the tools to discern the BS from good research.